– Art historian and writer Karen Kedmey reviews the Webb’s Memory City project for ARTSY. On view on view at Robert Koch Gallery, San Francisco, Sep. 10–Nov. 14, 2015. Alex Webb and Rebecca Norris Webb won for their book, Memory City. In an elegiac look at Rochester, New York, Memory City is a mediation on film, memory, time and the city itself. Shot in both digital and analog formats, the photographs are joined by quotes from famous writers and thinkers who have been connected to Rochester. Laura Letinksy won for her book, Ill Form & Void Full. In this serene monograph, Letinsky creates references to the table from existing photographs in home and lifestyle magazines, her old work, the art of friends and actual objects. Her process shows how ideas about the private sphere and their manifestation in our lives are predicated upon what has come before—that is, perception itself is a construct. Michael Light won for his book Lake Las Vegas/Black Mountain. In Light’s third aerial survey published by Radius Books, the photographer focuses on Nevada, formerly the fastest-growing state in America until the 2008 recession. Light hovers intimately over the topography of two residential areas, both never fully realized and in disrepair: Lake Las Vegas, a lifestyle resort built around a former sewage swamp, and the nearby Black Mountain community, where a quarter-billion dollars was spent on moving earth that has lain dormant for the past six years. The Photo District News compiles a record of the year’s most compelling images. This renowned competition features a wide variety of photographic genres, ranging from from highly visible ad campaigns and editorials, to photojournalism stories, to personal series from established and student photographers. In the PDN Photo Annual, contestants from across the globe come together in a celebration of bold and singular artistry. Alex Webb & Rebecca Norris Webb: Memory City was chosen as Fraction Magazine‘s “Book of the Day” and recently reviewed in Aesthetica, a prominent arts and culture magazine in the UK, and in the popular photography magazines Hungry Eye, New Statesman, and Amateur Photographer. Alex Webb and Rebecca Norris Webb talked with BBC Scotland about Memory City and the plight surrounding Rochester, NY in the wake of Kodak’s bankruptcy. Alex Webb and Rebecca Norris Webb’s book Memory City, an elegiac look at Rochester, NY, was featured in the April issue of American Photo Magazine. Alex Webb and Rebecca Norris Webb’s new book, Memory City was chosen as one of “11 Edgy New Photobooks That Will Make You Look (and Think) Twice” by ARTnews. Alex Webb and Rebecca Norris Webb have received an incredible amount of attention with our new book, Memory City. This elegiac look at Rochester, New York (home of Eastman Kodak for 125 years before the company’s bankruptcy in 2012) is a meditation on film, memory, time, and the city itself. Webb’s black and white images taken with his last rolls of Kodachrome are punctuated with photographs shot in his signature medium of digital color. Norris Webb, who still uses film for all her work, responded to the medium’s uncertain future by creating a poetic refrain of color still lifes and portraits of Rochester women past and present. The artists have been featured in The Guardian, TIME Lightbox, The New York Times LENS, The Atlantic’s CityLab, Democrat & Chronicle, International New York Times, and 20Minutos (in Spanish). The Webbs recently sat down with BBC World Service “Newshour” to discuss their project and Kodak’s lasting effect upon Rochester, New York (available for download here). Friday, September 23rd from 5:30-7:00pm, Radius Books publisher David Chickey will join photographers Alex Webb & Rebecca Norris Webb in a lecture and discussion at the Radius Books offices. The photographers will talk about their work and the bookmaking process. This event is free and open to the public. Radius Books is located downtown at 227 East Palace Avenue, Suite W, Santa Fe, New Mexico, 87501. Parking will be available off of Cienega Street and Palace Avenue. For more information call Radius Books at (505) 983-4068. Radius Books will team up with Alex Webb & Rebecca Norris Webb for a weekend photography and bookmaking workshop in September. The workshop will address every participant’s portfolio and offer personalized assignments and feedback. The workshop takes place at Radius Books from Friday evening, September 23rd to Sunday afternoon, September 25th. If you are interested in applying, review the details and requirements here. The workshop is limited to twenty participants. 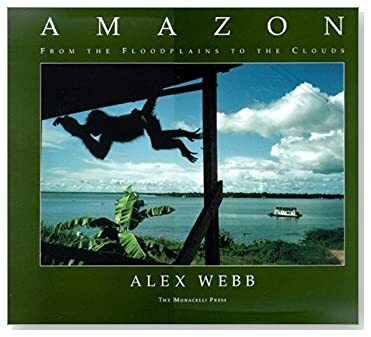 Alex Webb is this years’ winner of the “Premio Internacional de Fotografia Alcobendas”. This prestigious award is given by the Council of Alcobendas to a documentary photographer who illustrates the rights of childhood throughout his career and whose work encourages reflection on the different and fascinating questions that characterize the global situation of children. The winning photograph is “Mexico 1985. Children playing at the playground.” While the 5 children in the photograph are depicted together, each retains a sense of autonomy—each is a world unto himself. The photograph embodies Webb’s characteristic visually layered compositions with a “lyric and realistic” sense of childhood. It is the combination of technique and humanity that impressed the jury, composed of Lola Garrido, collector and independent curator; Pepe Font de Mora, director of the Foundation Foto Colectania; Carlos Perz Siquier, photographer, National Prize of Photography 2003; Jose Maria Diaz-Maroto, photographer and curator of the Alcobendas’s Collection; and Eva Tomo, Culture and Childhood City Councilor of Alcobendas. Alex Webb joined Magnum Photos in 1976 and was elected President of the agency last summer. In addition to working for magazines such as Life, Geo and New York Times Magazine, he has also published several books of photography. The most recent, Violet Isle, is a vibrant document of Cuba by Alex and his wife, photographer Rebecca Norris Webb. The book was released last August by Radius Books. Advance copies of Violet Isle arrived this week. It’s stunning! This “photographic duet about Cuba, by Alex Webb and Rebecca Norris Webb, is truly a photographic collaboration, and we had a great time working with these two amazing photographers. The book is “softbound” and each copy comes in a printed, cardboard sleeve. The essay by noted writer Pico Iyer is truly brilliant, and the entirety of the text in the book is in both English and Spanish. The retail price is $50; a signed copy is $55; the limited edition of 40 is $1500. And the back cover has one of Alex’s. Through the lens of one photographer, a melody can be cast. It might wind around corners, creep through windows, or curl around a smooth or weathered face. Those great picture melodists might also choose to add harmony to their images, allowing the subject to sing along, contributing warmth and magic. Perhaps there is yet another level of melodic composition. Bach for one, was not satiated by melody and harmony alone. He craved independence between two layered melodic ideas; counterpoint allowed for greater depth and contrast, dissonance and resolution. In this, Bach demonstrated the concept of unity in diversity: the idea that separate individual entities, when woven together, will reveal a chimeric unit; one stronger and more vibrant than either could be in isolation. Rebecca Norris Webb and Alex Webb have brought their contrapuntal photography to Radius Books with their vibrant photo-essay on Cuba, the “Violet Isle” which will be published this Fall. Their contrasting artistic backgrounds and creative synergy are evident in this book, the culmination of a nearly two-decade-long project. The book will feature work by the two photographers, woven together in a seamless and elegant visual poem. Standing alongside the photographs is an essay by famed writer Pico Iyer (in both Spanish & English). The book itself will come in a printed cardboard sleeve, and the limited edition of the book comes with 2 type-c color prints, one each by Alex and Rebecca (and from a choice of 4 total). Pre-order the book now. Alex Webb is best known for his work in Latin America and Istanbul. He describes himself as a “street photographer” who must, “walk and watch and wait and talk, and then watch and wait some more, trying to remain confident that the unexpected, the unknown, or the secret heart of the known awaits just around the corner”. He has been a full member of Magnum Photos since 1979 and was granted a Guggenheim Fellowship in 2007 to continue his work in Cuba. 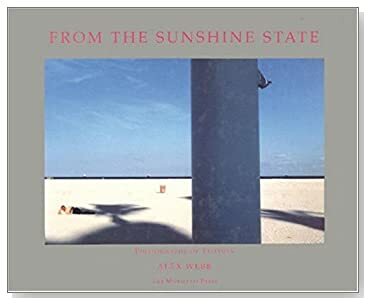 Some of his previous books include Crossings (Monacelli Press), Istanbul (Aperture), Amazon (Monacelli Press), and From the Sunshine State (Monacelli Press). Alex’s Istanbul project is the subject of a wonderful short film, which you can access below. 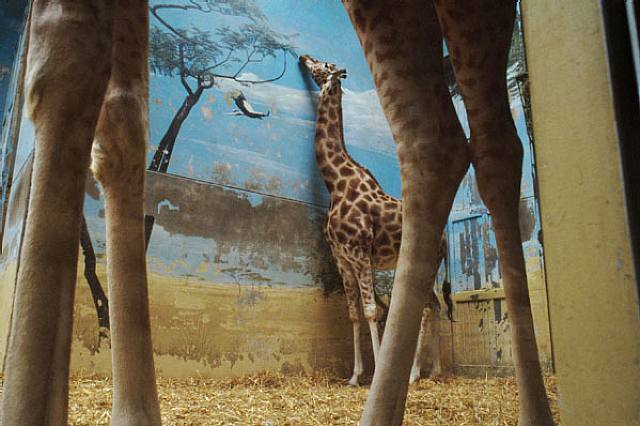 Rebecca Norris Webb describes her moving earlier work, The Glass Between Us as, “An exploration of the complex relationship between animals and people in cities”. The work is supported by Blue Earth Alliance, a non-profit company that supports documentary photography that challenges social norms. St. Louis photojournalist Erik Lunsford muses in his blog, Uncommons, that the work “let’s you choose — rapt attention or casual exploration”. It is this unassuming generosity that characterizes Norris Webb’s work. As a team, the couple offers masterclasses around the world to photographers who have an interest in long-term projects. Their classes focus on developing spontaneity in photography and intuition in editing. These two important facets of the Webb Method are explored further in this article and interview by Behance Magazine with Norris Webb on following creative inklings. More information on Rebecca Norris Webb and Alex Webb can be found at their website.